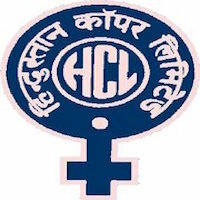 Online Application Details for Hindustan Copper Limited HCL Recruitment of 52 ITI Trade Apprentice is given below. Application form and duly attested documents are to be sent to Chief Manager (HR&A), Hindustan Copper Limited, Malanjkhand Copper Project, Tehsil:- Birsa, P.O.- Malanjkhand, District Balaghat, Madhya Pradesh– 481116. In envelope super scribed with 'Application for the Post of Post Name'.